Wicked Easy Fruit Skewers with Whipped Cream! My daughter absolutely loves her fruit and I am equally loving that fact that she loves it. Do you know how hard it is sometimes to get kids to eat healthy food like fruits and veggies. It’s the worst! Those cute little faces get all angry and stare you down like “How dare you try to feed me this?”. These adorable little people of ours become all angry and scary simply because you tried to offer them green bean. So, needless to say I feel very lucky that at least in the fruit department, we are doing good. Veggies are another story unfortunately. Since my daughter loves fruit, I have been trying to get her to expand on her fruit palette. The most recent fruit that she wanted to try, but wasn’t 100% sold on was Pineapple. Numerous times she has made a grab for it, but then last-minute changes her mind. So, I decided this past weekend to help her get over that roadblock she had in her mind about Pineapple. I decided to try making fruit skewers. I figured this would be a fun little snack that might help her finally get that Pineapple in her mouth. Visually, it is a fun little snack and I surrounded the pineapple with some other fruit I know she loves. I also decided to whip up some of my “Homemade Whipped Cream” to add another element of “fun”. Sure enough she got super excited about them. She did want to take the pineapple chunks off initially, but I told her you have to eat the entire thing or you get nothing. I see she was debating this in her head and ultimately she decided to finally give them a try. Turns out she LOVED THEM! I ended up having to make a bunch more. My husband ended up eating a bunch as well. These easy to make skewers ended up being the push my daughter needed to try something new and as it would seem, are now a new favorite snack for my family! Slice the bananas and set aside. Drain the juice from the pineapples and set aside. Drain the juice from the cherries and set aside. Take a large toothpick and insert it through the center of the fruit. Place the fruit skewer on a plate/platter and repeat step # 4 until you have the desired amount of skewers. Prepare the whipped cream per the recipe above. Want to kick these skewers up a notch? Try drizzling some chocolate over them. In a pinch? These make a quick and easy appetizer for a party or cookout. Place the Pineapple and cherries in the refridgerator 1 hour prior to making the skewers. Aww sooo cute that your daughter is trying new fruits & ended up loving the pineapples. 😄 These skewers do look like a ton of fun. Way to go!! 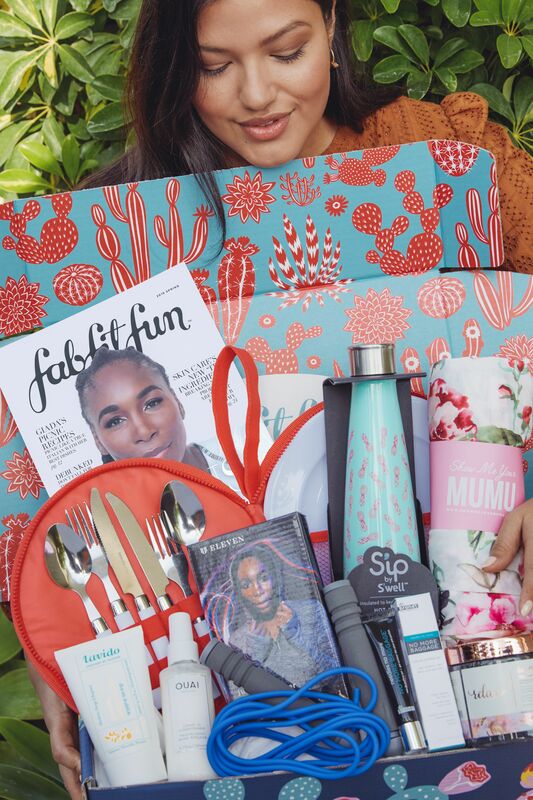 Next Post FabFitFun Winter 2018 Edit Sale Items + Coupon!